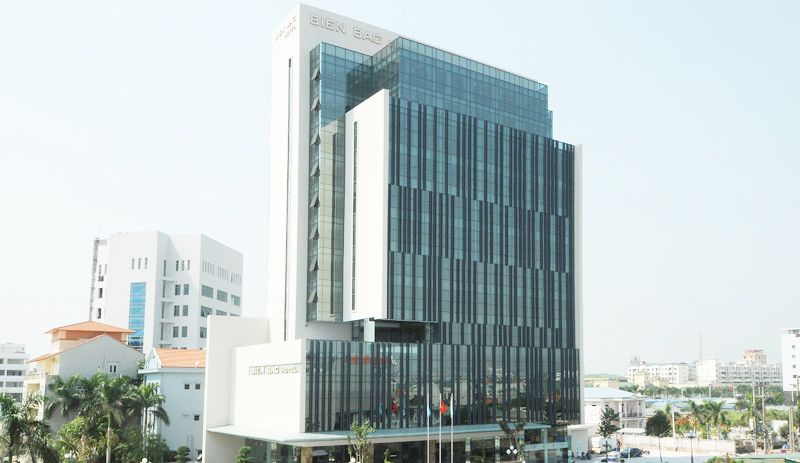 Centrally located in Mong Cai city, the North Sea is a 4-star hotel of international standard, officially put into operation in November 2015 from the North Sea's hotel to celebrate City Party Congress Foundation What XXIII, and the honor to represent the tourism sector with determination Mong Cai broadcast the first images City Nation address to four visitors. The hotel has a total floor area of ​​7.200m2 consists of 12 floors with infrastructure systems standards such as restaurant, bar, meeting rooms, spa, pool, gym, rooms with 90 rooms furnished to weight, modern, fully furnished, warmly decorated, elegant. Come to the Hotel North Sea you will really feel comfortable, convenient and satisfied by the professionalism and friendliness of all the staff. Come to the Hotel North Sea you will enjoy a space right at the house of his beloved. Mong Cai international border gate across the city of Dongxing - China is only 5 minutes walk. Vinh Thuc Island is relatively unspoiled islands with white sand beaches, clear blue water makes a strange attraction for anyone who has ever come here. We are very pleased to welcome you at our hotel.